Our Western Seaboard team decided to spend their 67 Minutes at the Fallen Angels animal shelter in Cape Town. They manages to collect a large amount of animal treats, grooming accessories as well as toys and pet food. 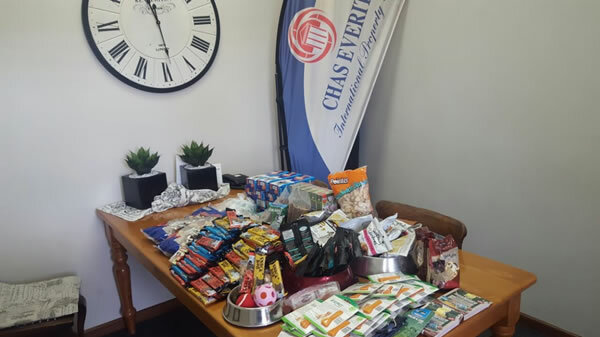 The Fallen Angels animal shelter does some truly amazing work in the community and really appreciated this wonderful donation from Wendy Ann and Claire Leske on behalf of the Chas Team.